Objective. To study the effect of the protective agent ethylmethylhydroxypyridine malate on the numbers of erythroblastic islets in rats exposed to sulfur-containing gases. Materials and methods. Natural sulfur-containing gas mixtures from the Astrakhan gas-condensate field were used to model the gas-polluted environment. Male rats of various ages simulated different stages of postnatal human ontogenesis. Results. The obtained results indicate that at all stages of ontogenesis ethylmethylhydroxypyridine malate protected erythroblastic islets from intoxication by gaseous sulfur pollutants and led to partial normalization of proliferation and maturation of eryth rob lasts. Conclusion. The protective action of ethylmethylhydroxypyridine malate may be used for neutralizing the biological damage caused by toxic air pollutants at different stages of ontogenesis. Address: ul. Bakinskaya, 121, Astrakhan, Russia, 414000. 1. 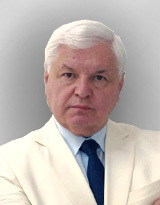 Kutsenko S.A. Bases of toxicology: scientific and methodical edition. [Osnovy toksikologii: nauchno-metodicheskoe izdanie]. SPb. : Foliant, 2004. 720 s (in Russian). 2. Boyko V.I., Salko V.N., Evdoshenko M.P. Hygienic aspects of development of Astrakhan gas condensate field. Regional scientific and practical conference. «Medico-biological aspects of environmental problems of Astrakhan gas complex». [Gigienicheskie aspekty osvoeniya Astrahanskogo gazokondensatnogo mestorozhdeniya]. Oblastnaya nauchno-prakticheskaya konf. «Mediko-biologicheskie aspekty ehkologicheskih problem Astrahanskogo gazovogo kompleksa». Astrakhan, 1989: 3-7 (in Russian). 3. Yaryga V.V. The study of erythrocytes and hemoglobin in dispensary groups with a high risk of occupational pathology at AGPZ. [Izuchenie ehritrocitov i gemoglobina v dispansernyh gruppah s vysokim riskom vozniknoveniya profpatologii na AGPZ]. Trudy Astrahanskoj med. akademii, T. IV (VIII). Materialy nauchnyh issledovanij po osnovnym napravleniyam VUZa. Astrahan, 1996: 34-6 (in Russian). 4. Pozdnyakova O.N., Prosina L.A. Peculiarities of early dynamics of catalase activity and degree of peroxide hemolysis of erythrocytes in blood of animals adapted to cold. [Osobennosti rannej dinamiki aktivnosti katalazy i stepeni perekisnogo gemoliza ehritrocitov v krovi zhivotnyh, adaptirovannyh k holodu]. Estestvennye nauki. 2007; 1: 74-8 (in Russian). 5. Karnauhova N.G. Determination of age of gray and black rats. [Opredelenie vozrasta seryh i chernyh krys]. Ekologiya. 1971; 2: 97-100 (in Russian). 6. Duhkin V.A. Laboratory animal husbandry. [Laboratornoe zhivotnovodstvo]. - M.: Rossel’hozizdat, 1980. 48 s (in Russian). 7. Zapadnyuk I.P., Zapadnyuk V.I., Zakhariya E.A., Zapadnyuk B.V. Laboratory animals. Breeding, keeping, use in experiment. [Laboratornye zhivotnye. Razvedenie, soderzhanie, ispol'zovanie v ehksperimente]. Kiev: «Vishcha shkola», 1983. 381 s (in Russian). 8. Gelashvili O.A. The variant of periodization of biologically similar stages of human and rat ontogeny. [Variant periodizacii biologicheski skhodnyh stadij ontogeneza cheloveka i krysy.]. Saratovskij nauchno-medicinskij zhurnal. 2008; 22 (4): 125-6 (in Russian). 9. Hagemann E. Schmidt G. Ratte und Mans. Berlin, 1960. 320 s.
10. The rat in the laboratory investigation [Eds. E.J. Farris, J.Q. Griffith]. New York: Hanfner Publishing Company, 1962. 364 р. 12. toksichnosti himicheskih veshches]. Ch. 1. Zheneva: VOZ, 1981. 312 s (in Russian). 13. Zakharov Yu.M., Melnikov I.Yu., Rassokhin A.G. Classification erythroblastic bone marrow islets, taking into account changes in their cellular composition. [Klassifikaciya ehritroblasticheskih ostrovkov kostnogo mozga s uchetom izmeneniya ih kletochnogo sostava]. Arhiv anatomii, gistologii I ehmbriologii. 1990; 5: 38-42 (in Russian).